Chicago offers an array of distinct venues, including some unconventional spots guaranteed to give your event an extra bit of Chicago style. 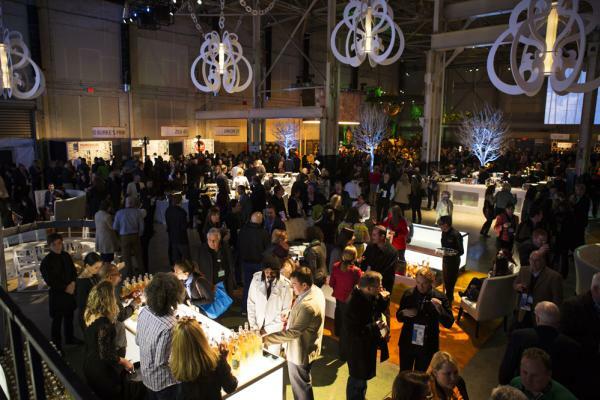 Make your event stand out at these dynamic venues. 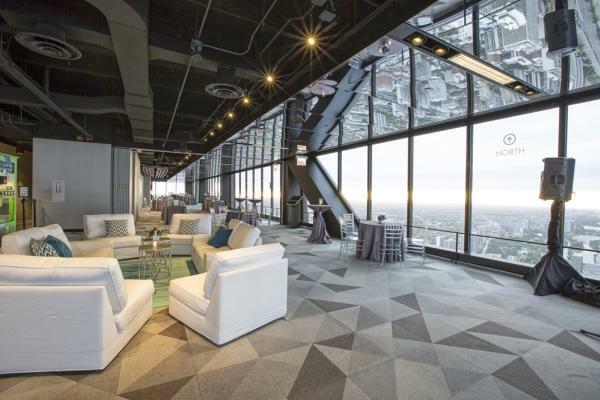 Unveiled as part of the recent renovations to this spectacular, sky-high attraction, 360 CHICAGO (formerly John Hancock Observatory) added a new special event space on the 94th floor, accommodating groups of 30-600 guests. Guests will love the dramatic views of Chicago&apos;s skyline and lakefront. Catering is provided by Blue Plate, and decor is available through Ivan Carlson. America&apos;s first planetarium is a beautiful backdrop with three full-size theaters, stimulating exhibits and attractive settings. Host your event under the stars in the Grainger Sky Theater or outside on the terraces overlooking the Chicago skyline. The Sky Pavilion serves up a flexible 60,000-square-foot space spanning four galleries. On-site catering, private meeting space and complete buy-outs are available. Learn more about private event rentals. Give your event big-screen panache at this massive, 1.45-million-square-foot film studio, where numerous Chicago-inspired television shows and movies have been filmed. Cinespace has multiple spaces that can accommodate any size event, as well as on-site dining areas, an in-house prop and décor rental facility, and an on-site caterer, providing a one-stop-shop for planners. Request information on hosting an event. 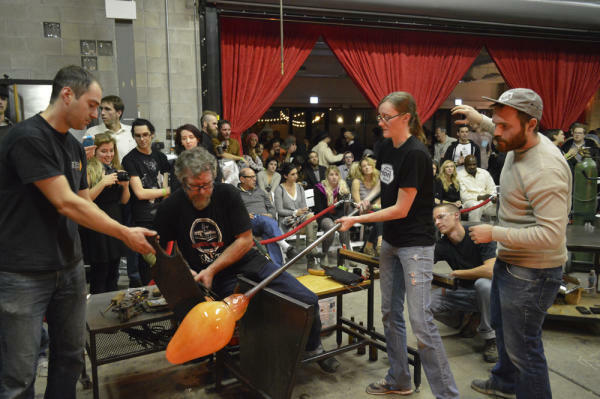 A state-of-the-art glass studio, Ignite is an alternative event space located in Chicago&apos;s buzzing West Loop neighborhood. This versatile space offers three areas that combine to create over 9,000 square feet. Host a dinner or corporate meeting in the Main Room, where you can integrate live glass-blowing demonstrations or lessons into the event. Select the Urban Garden with serene outdoor settings or take in dramatic views of the Chicago skyline from the Rooftop Deck. See the photo gallery. Harness the elegance of the ballet by renting a theater or studio in Joffrey Tower, home to the masterful Joffrey Ballet. 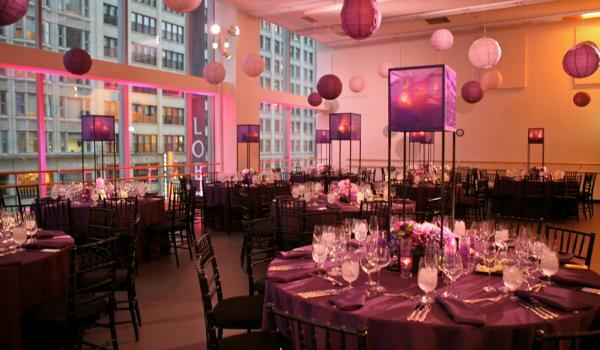 From weddings to luncheons to performances, these expansive spaces suit a variety of special events while providing an artistic, cosmopolitan energy. Learn more about studio rentals. From casual to upscale events, this new park in the heart of downtown offers an ideal outdoor location with beautiful views of the Chicago skyline and the Lake Michigan waterfront. For indoor events, the Fieldhouse offers various rooms, while the Cancer Survivor&apos;s Garden is an elegant outdoor space, where granite columns flank a dramatic open metal pavilion, and open green spaces are surrounded by flowers and lush greenery. Lawn rentals and picnic grove areas also can be reserved. Tap into Morgan Manufacturing&apos;s flair for connecting corporations with innovative Chicago-area companies while designing your event in their completely renovated, pre-Chicago Fire building. More than 32,000 square feet of industrial, yet elegant, space revolves around unique architectural details, a full-service catering kitchen and two outdoor spaces, including an 8,000-square-foot rooftop space. 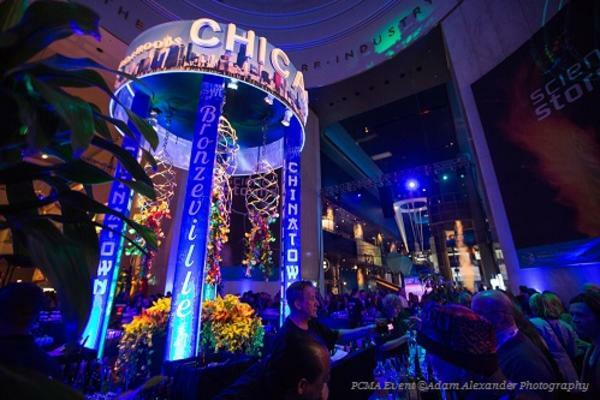 At the Museum of Science and Industry, you can host a Chicago Neighborhoods-themed event, featuring all the diversity and culture of the city; or a World&apos;s Fair theme that highlights the building&apos;s history with the 1893 Columbian Exhibition. 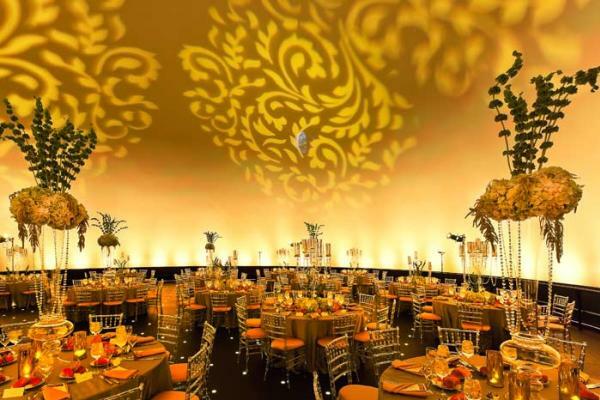 You can also incorporate video mapping and LED walls to bring the venue to life in a whole new way. Learn more about hosting your event. Plan a private event aboard one of Chicago&apos;s First Lady Cruises&apos; luxury vessels. 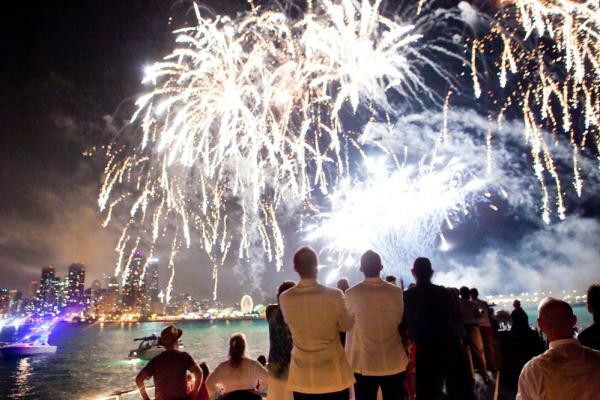 Intimate yachts cruising Chicago&apos;s River and Downtown Lakefront Harbor are available for private party rental April through November and can accommodate groups up to 250. Call on Shoreline Sightseeing Company for specially outfitted private vessels, including the four-season Celebration. Boats can accommodate 50 to 200 guests. For more on-the-water events, call on Anita Dee Yacht Charters, Free Spirit Yacht Cruises, Odyssey Lake Michigan. Wendella Sightseeing Boats boast the largest maximum reception capacity at 1,120. 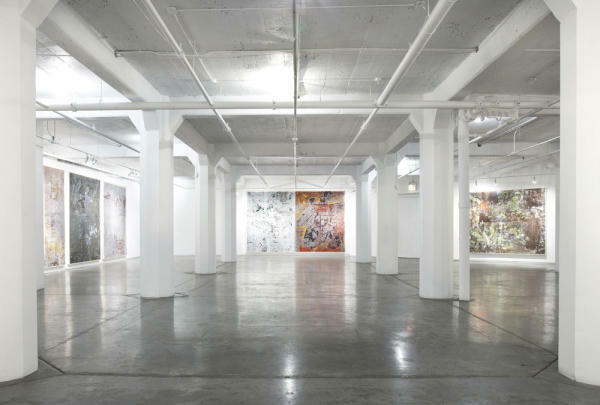 Airy, light-filled spaces and clean, white gallery space makes this an ideal blank canvas for planning an artful event. The Moongate space is a favorite for cocktails and receptions, thanks to its open floorplan and unique permanent art installations, while Spirit Space features sliding doors, allowing for a private event. For a larger event, Group Dance is a sprawling space spanning the entire second floor. Also available for alfresco events, the Life&apos;s Garden outdoor venue features lush landscaping and a koi pond. The chefs at LM Catering offer completely customizable menus. Joffrey Tower, 10 E. Randolph St.